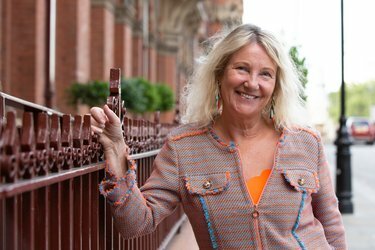 Canelo Digital Publishing Limited is delighted to announce the acquisition of two heart-warming women’s fiction novels by bestselling author Carol Wyer. The first new book – What Happens in France – is to be released on 4th February 2019, with an as yet untitled second book provisionally scheduled for April 2019. In What Happens in France, Bryony Masters isn’t one to shy from a challenge, so when her father falls sick she makes it her mission to find her long-lost sister and reunite their family. With the help of handsome friend Lewis, she snags a coveted spot on a primetime game show set in beautiful France – the perfect, public platform to launch her search! What Happens in France will delight fans of Fiona Gibson, Daisy James and Jo Watson. As a child, Carol Wyer was always moving and relied on humour to fit in at new schools. A funny short story won her popularity, planting the seed of becoming a writer. She won the 2015 People’s Book Prize Award for non-fiction, and can sometimes be found performing her stand-up comedy routine Laugh While You Still Have Teeth. Now writing full-time, Carol has several books published alongside journalism in many magazines. Canelo are a digital publisher based in London, specialising in commercial fiction.